Anyone who has trained in Muay Thai certainly knows having a good pair of shin guards is of utmost importance. Aficionados of Muay Thai fighting and any other combat sport where kicks are allowed know how painful it is to hit your shin against your opponent’s knee or elbow. One great thing about Muay Thai is that it requires less equipment to be safe. All you need is a set of kickboxing gears: a good pair of gloves, hand wraps, and a good pair of shin guards, specially designed for Muay Thai. Shin guards are the pivot to safe and effective training (Source). Appropriate shin guards will help you avoid swollen ankles and shin bruises. The best product should, therefore, be of the correct size, provide utmost comfort and mobility, be lightweight, and offer maximum protection (Source). There are dozens of different Muay Thai shin guards available on the market. However, note that not all were created equal. Below are some of the top models on the market. 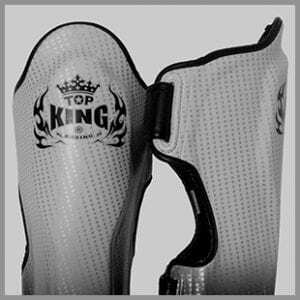 The Top King Empower Creativity Muay Shin Guard is one of the constant chart-toppers when it comes to Muay Shin guards. It offers good leg coverage that completely covers the shins. Additionally, its high-density foam padding provides an assurance that you will get ample protection for your sporting needs. This item comes with a hook and loop strapping system that holds the guard in place to provide a stable and secure fit. It features a sleek silhouette that not only fits better but also enhances its look and makes it less bulky as well. Moreover, it boasts dual tone tribal accents with an extensive raised layer of padding. This covers a large area of the shin, ensuring that you get reasonably superior protection. Finally, this model comes with an eye-catching gradation or a fancy snakeskin design: a pattern of prints made from carbon-Kevlar that provides assurance of extreme durability. 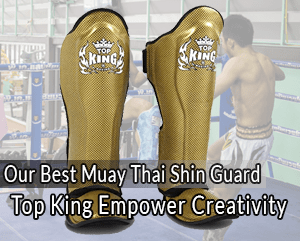 Hence, with its great look and quality, the Top King Empower Creativity Muay Shin Guard should be your best choice for kicking it in Muay Thai shin. Yet another top brand in the Muay Thai Gear industry, the Fairtex casts a long shadow. Their new product on the market, Fairtex Muay Thai Shin Guards, comes with one goal: to offer protection. This becomes obvious the moment you strap the shin guard on. To start, the shin guards are made up of two parts: the main shin protector and the detachable foot guard. This allows users to adjust it to your preferred height. This is a big deal if you are new to the sport, which makes this one of the most sought after Muay Thai gear for beginners. In addition, its detachable foot guard and shin protectors provide 90° twisting capability. Hence, its versatility gives maximum comfort and ensures that it protects the user even from slight bruises. Furthermore, the twistable shin protector also allows you to customize your leg gear to your desired precise specifications. This provides a notable assurance that the guards stay put during sparring. Consequently, the shin protectors provide rounded sides of armor without sacrificing comfortability, weight, and mobility. It covers the user’s leg from the knee to the toes, too. The RDX Gel Muay Thai Shin Guards are not just made to be used in Muay Thai. They are designed with mobility in mind, and appeals to MMA sports, Muay Thai enthusiasts, and martial arts practitioners. Therefore, this model is best for those starting out on Muay Thai. It can be easily the first choice that combines both comfort and high-tech design to provide solid protection. The RDX Gel Muay Thai Shin Guards are best described as lightweight and non-bulky. It features a shock-gel technology merged with a supreme shock foam padding, especially on anticipated high impact points. However, keep in mind that they are designed for heavy training. Likewise, average practitioners will certainly be satisfied with this gear, but heavy kickers might find it lighter. The Hayabusa is one of the well-established fighting gear brands on the market. This is perhaps due to its integrated modern design and technology. 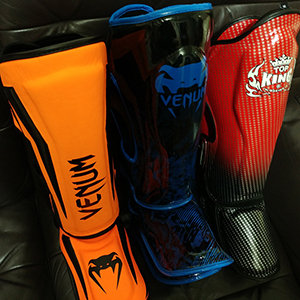 From initially being an MMA company, Hayabusa ventured into Muay Thai shin guard manufacturing with the primary aim of providing maximum mobility. Hence, they are light, compact, and won’t stand in your way of wearing down your opponent with a hailstorm of kicks. Additionally, its fit is perfect thanks to its T3 Kanpeki snug fit design. Likewise, it boasts a double-strap system and non-slipping lining; it would stay in place regardless of how long or sweaty your fight gets. Lastly, it provides almost total shin protection as the foot guard section reaches the ankles. 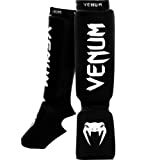 Yet another versatile product, the Venum “Kontact” Shin and In-step Muay Thai Shin Guards guarantee consistent performance whether you are vested in MMA, kickboxing, or Muay Thai. This model leans heavily towards providing great comfort with minimal weight and favors speed over protection. Being among our best picks for shin guards, it is unrealistic to expect the benefits of any other standard shin guard. Despite being the best choice for light Muay Thai activities, it is the best product for the money. The best thing with these guards is the inexistent burden it exerts on your legs. They fit perfectly and remain in place even during intense activity. Plus, you can clean them using the washing machine. There are dozens of Muay Thai Shin guards available on the market. Of all the available models, there is no perfect shin guard. Hence, you should always find one that meets your needs instead. Some of the factors to be considered when choosing are outlined below. There are two common types of Shin Guards. The product could either be shin guards with straps or shin guard socks. 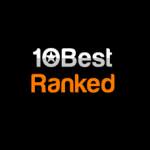 The former is the most popular. The front part of these models is held to the leg by several straps. They provide ample protection from the shin to the top of your foot. Meanwhile, the latter type has a sock-like sleeve. You only need to place your foot and shin through the sleeve and attach it. Thus, this type is much tighter and has minimal movement. However, it offers less protection. Selecting the right size of Muay Thai Shin guards is overly important. This is because you obviously want a product large enough to provide ample protection. Similarly, you want something small enough to provide maximum mobility. Excessively large guards may slow your kicks. Contrastingly, overly small guards will expose some part of your shin and feet, leaving them bruised. Therefore, the key is finding a perfect balance between protection and mobility. Just like boxing gloves and other fighting equipment, genuine leather are always a popular choice. They last longer compared to synthetic ones. The problem is that they are quite pricey. On the contrary, unlike genuine leather, synthetic leather is cheaper and provides more control in terms of developing flashier designs and different colors. It is wise to go for brands originating from Thailand as the materials are handmade and their quality is top-notch. This doesn’t mean that other shin guards from other countries aren’t genuine. However, Thailand, being the origin of the sport, produces top brands that have been tried and tested by homegrown Thai fighters. It is important to be mindful of substandard products if you go for the cheapest shin guards on the market. you should always consider quality over price. A cheap pair will require constant adjustments and may not offer full protection. Experts advise that nobody should rarely train for Muay Thai without having Shin Guards on. They are important for solo training as well as for sparring with a partner. Finding the exact type of shin guard heavily relies on your needs. Finding the right size and fit may not be an assurance that the guards will provide great comfort and mobility. You should be concerned with other features like level of protection, ease of use, materials used, and the brand name. From the products mentioned above, which one is the best for you? Do you prefer a strap of sleeved support?